Our little ones are suited up and ready to get some treats…no tricks! This year Mara was able to choose her costume. Surprise surprise (I mean this sarcastically of course) she picked Dora. 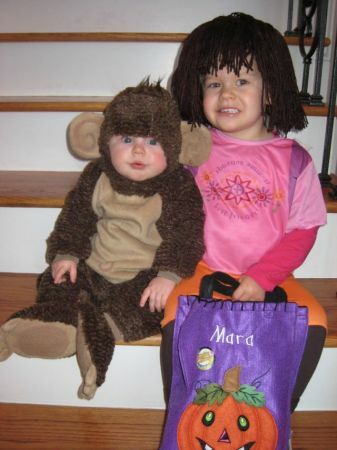 Since mom was hoping for a theme between the two of them Campbell became Boots the monkey, Dora’s sidekick for Halloween. 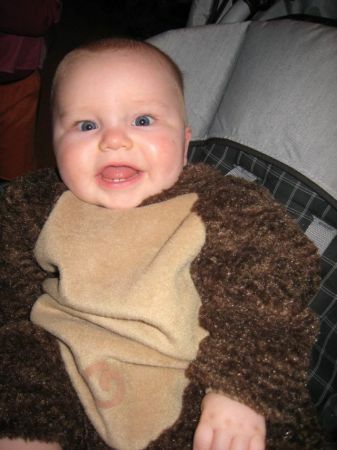 I must say Campbell makes a sweet monkey! 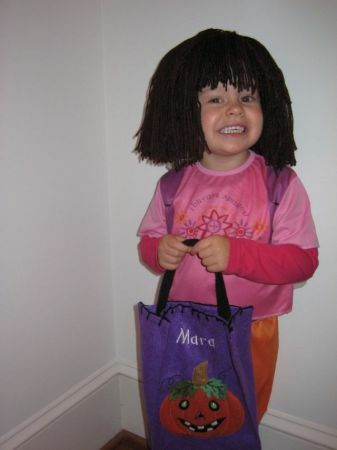 And Dora, well how authentic she looks considering the blonde curly locks of hair underneath. 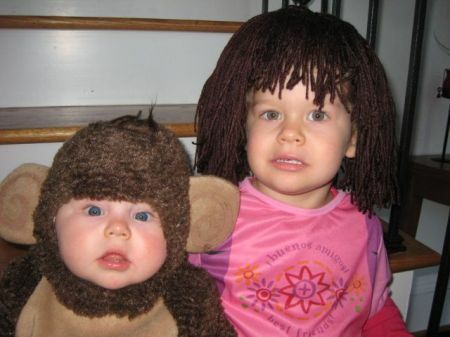 We loved the brown yarn wig with her costume. Be sure to click on one of the pics to see the rest! Way too cute! What did they think of going to house to house? Grace didn’t like it at first until she realized what they were handing out. Campbell simply went around our circle at the end of the cul de sac. Then he went in for night time. Mara on the other hand was a trooper and went down the street and took a turn down the next one. WAY past bedtime for her. She would have kept going too. She had gone with Mom last year and just did our street. She liked it except the walking out the door part. Why that would be myself & Luke of course. I think Mara has had maybe 1-2 pieces of her candy as well. The bag was put away so it would be out of sight out of mind and it has worked fantastically for Mara. Not so well for Luke & I!